To explore, you need a central and comfortable base. 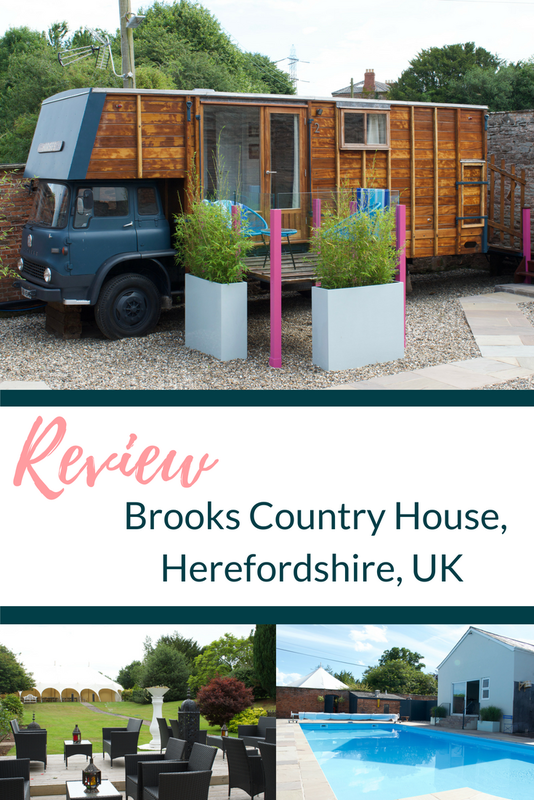 I met Carla at a local bloggers meet and she kindly invited me to stay at the wonderful Brooks Country House, near Ross-On-Wye in the countryside of Herefordshire. A stunning Georgian Manor house located on 13 acres of outstanding natural beauty. Recently, featured in The Times Top 50 Affordable Luxury places to stay in the UK so you can imagine how excited I was to get over there and test drive. If you are wanting a country retreat than look no further than Brooks Country House. Brooks is centrally situated for exploring the Wye Valley and surrounding areas. It's in the middle of an area of Outstanding Beauty, so hikes or casual strolls are a must. Ross-on-Wye and Hereford are about 20 minutes away. Both historic market towns boast quaint pubs, shopping to while away the hours. Baileys Home store is 5 minutes down the road. Think Anthropologie interiors meets country chic. I wanted to buy the whole store. Since our visit to Brooks we've visited twice! It's that good. Forest of Dean is under a 30 minute drive. Head to Puzzlewood for a Middle Earth Experience, Go Ape for adrenaline junkies or Beechenhurst Sculpture trail for the explorers. There are tons of activities in the Forest and Wye Valley, take a look at the tourism website . Monmouth can be reached in 20 minutes, with boutique stores, a choice of restaurants and bars. I suggest La Piccola Italia and Jewel Balti for dinner and Estero Lounge for cocktails. One thing that Brooks does well is it's choice of accommodation. If you fancy a luxe stay opt for one of the twenty-three Georgian Rooms or follow my lead and enjoy bunking up in a converted Horse Box! I have to admit I thought it would be quite cramped but actually it was spacious enough and very cosy. There is a Double Bed plus two pull down single bunk beds in the lounge area. The Double Bed was super comfortable and snuggly, I literally did not want to get up. There is even a small shower room and toliet. The lounge area opens up on to your own veranda with table and chairs, a perfect space to enjoy a glass of wine as the sun sets. Surprisingly, it has all the amenities you would expect from a hotel; Shampoo & Conditioner, Hairdryer, Flat Screen TV, Tea and Coffee and an outside dining area. Who knew you could fit this much into a horse box! Breakfast is included in the price with a great choice to get your day started. Continental spread of cereals, jam, toast as well as a menu with hot dishes. I enjoyed good old fashioned egg soldiers whilst Will had poached eggs on toast. I sampled the Afternoon Tea which costs £20pp. It consisted of three types of sandwiches, a pot of tea and two cakes (one is a scone, no English afternoon tea is complete without a scone and clotted cream). Topped off with a glass of bubbly sat out on the terrace. Divine. Our dinner was delicious and reasonable priced at either two courses for £19 or three courses for £25.00. The menu has a wide range of choices from this hearty pie to Salmon fillet. I like the fact that all produce is sourced locally by Brooks and they advocate local brands. There is a vineyard on the property and you can order a white or rose bottle with your dinner! I have to say the Large Outdoor Pool was a highlight for us. It is enclosed in a pretty courtyard and open in the Summer months. We spent the afternoon, enjoying the sun with a few beverages and chatting to the other residents. Hi to the wonderful lady from London who gave me tips for New York and told me about Baileys Home store. Next to the pool there is a Sauna and small gym with cardio machines only. If like me, you are a child at heart, the games room is kitted out with a table tennis, table football and board games. 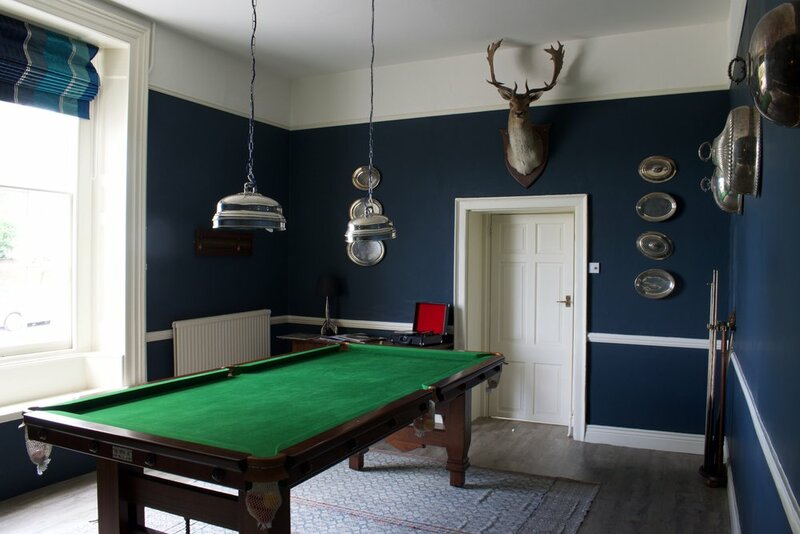 In the main house there is a pool table with a turntable to listen to some music. Vintage Horse Boxes start at £79 a night based on two sharing with B&B. Would I stay at brooks country house again? Absolutely! I was so impressed with this gorgeous countryside retreat. An incredible location, locally source food and drink, cosy interiors and stunning exteriors make it a true gem. Why not find out for yourself? Disclaimer: I partnered with Brooks Country House who paid for my stay. All opinions are my own. If you've liked what you've seen please check out Brooks' Bristol, Bath and Edinburgh locations.